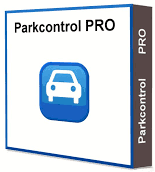 Bitsum ParkControl Pro is an elegantly small utility to monitor and adjust Windows CPU core parking and frequency scaling settings for each power plan. It has been shown that these power-saving mechanisms, present even in the default High Performance power plan, are detrimental to the performance of bursting CPU loads, which happen to be the most common type. This is because ramp-up time is insufficient. By disabling, or tuning down, these mechanisms, the user can achieve additional CPU performance.